Our summer started with college prep in June. Thing1 was ready for her freshman year (had been since her acceptance last September). We bundled up the smaller fry off to the grandparents, loaded up the covered wagon, and headed west for her Freshman orientation. Things today are not like when I was in school. For one thing, no dinosaurs or tar pits, though I believe the latter is still an issue in North Carolina. For another, the incoming freshman have a lot of resources at their disposal; like this orientation we attended. It was great, the kids got to do cool stuff and the parents got to sit through interminable lectures, boundless paperwork, and nifty talks on “letting go”. Pah! Letting go! I am the Great and Powerful Ellis! I have no need of your silly ruminations! Begone with you! Yep, I was a treasure. I did cause a panic in the “What electronic devices does your child need to bring to our fine university” lecture. It came during the questions portion at the end. They should really do away that whole segment. It leaves too much wide open, as they were about to learn. I raised my hand and was called on. “I can talk to you after the lecture,” the panicked official hurriedly said. Apparently my questions were causing concerned looks among the other parents. My wife thought I did it on purpose, just to get the air moving in the auditorium. I did, however, get asked to fix someone’s Apple. They just got it from a cousin and did they really need to load an antivirus and could I help them install MS Office? I named an exorbitant price and got the stink eye for my troubles. I was only trying to help. After the June excursion, we headed for the beach in July for week of sun and surf in the Outer Banks. The Ellis Clan is fairly large, there were 17 of us in one very fine beach house! We had loads of laughter and fun. However, everyone from my mother to my youngest nephew seemed to be wanting a picture with or to give advice to Thing1. They kept carrying on about this being her last beach trip before college, and generally making a big deal about nothing. After we got back from the beach, it seemed like we barely had time to unpack before it was time to repack and take Thing1 back to school for the start of classes in August. I really wasn’t looking forward to this. I told myself that I just didn’t want another 15 and a half hour road trip, barely adequate motels, and a steady diet of fast food. But, we went anyway and dropped our baby girl off a third of the way across the country from us. In the middle of Arkansas. With strangers. I cried. Before I could stop it, tears were rolling down my face. Yes, I know that my job raising her is over, and yes, I know that good parenting requires letting go, and yes, everything has a season and once that season is over you move on. I know all these things, I just didn’t realize that I’d hurt so badly or feel so much loss. I was a blindsided by it. Oh, I went on about how much I would miss her before she left, I just was not prepared for the reality of her absence. It’s like a big, echoing hole. I’m having a difficult time with this. Anxiety. Insomnia. Acid Reflux. At the same time, I’m so proud of her I could burst. It’s odd. Please bear with me while I pick myself up and dust myself off. Life sorta snuck up on me this summer while I was looking. Welcome back, Paul. It's been a rough summer for most. Nice to see your humorous take on life...even the serious sides. Hi Paul. Mentally, the college good-byes will get easier (because you know the kids are doing so well) but, emotionally, they will always be difficult. As you get used to having your free time and find that you enjoy the lack of interruptions, you'll begin to think it's okay for the kids to go back to school. But, beware, whether you are dropping them off and leaving them, or they are departing (and you are standing in your driveway, waving), you will always tear up. We have two girls, one in college and one in graduate school. We are so happy for them and so proud of them, but the moment of separation is still "a hole in the heart." I'm so happy you're back. I've missed you. And your verbiage. I was beginning to think that you had abandoned the 'net for something more substantial, like pen and paper! But you're back. You're back. 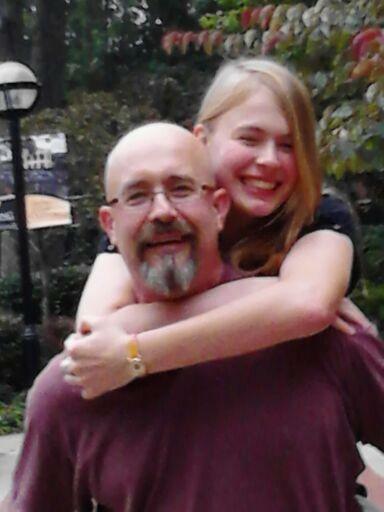 We, too, dropped off our eldest at college just a short few days ago. But since the college is only ten minutes up the road, it doesn't have quite the near-finality of your experience. We can deliver care packages to him on our way home from church. Or the store. So I didn't cry. But I did feel an odd disquiet when sitting at the dinner table, looking up at his picture on the wall; and walking past his empty room, all cleaned and ready for his return. The family dynamic has changed, and will never go back to the way it was.